GOOD NEWS! The Charitable IRA Rollover is permanent! Click for more information. Gifts of Personal Property such as; artwork that can enrich our facilities, and books and collectibles that are relevant to our history and mission can be an immediate tax deduction to you? A gift of Endowment is invested "FOREVER"; income from the Endowment is paid annually to support the donor’s objectives; whereas, a Gift of Expendable Funds is "FULLY SPENT" to support the donors request. You can designate your gifts? Some examples: Scholarships / Professorships / Academic Departments / Campus Beautification; just to name a few. The IRS allows significant tax breaks for gifts of Stock? Your IRA or other Retirement Plans can be a great way to make a bequest? We appreciate and treasure each and every one of our donors! 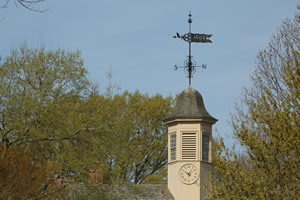 Proper planning can help you and your family realize the greatest benefits from your gifts to William & Mary. This involves choosing the best combination of assets and vehicles to accomplish your charitable, financial and estate planning objectives. Our knowledgeable and experienced Gift Planning staff is available to assist you and your professional advisors in determining which plan will best meet your needs and objectives. Many of these planned giving options may also qualify you for membership in The Honorable Robert Boyle Legacy Society. If you're already considering certain giving options, simply click on Compare Gift Options and select the gifts you want to learn more about. If you're not sure how our gift plans can meet your financial goals, enter the Legacy Planner™, and follow the trail to the gifts that will work best for you. Each option you select leads to more choices, letting you design your own gift plan. Request a personalized gift illustration from us that details your plan and refer to the FAQ's and Glossary sections.